Cyber China is considered the most active persistent collector of Western intelligence and intellectual property, is it a syndrome or China represents a real threat? When we think of China in relation to cyber warfare, we imagine an army of hackers hired by the government in a computer room ready to successfully attack any potential target. China is perceived as a cyber power and ready to march against any insurmountable obstacle using any means. In this connection, we read everything and its opposite, and we are ready to blame all sorts of cyber threats to the China. The truth, however, is quite different, at least in my opinion, and understands that the Chinese people before others have understood the importance of a strategic hegemony in cyber space. However, many doubts are beginning to gather on the real technological capabilities of Cyber China. It certainly has a high potential for cyber offensive but its quality is really arguable. China has the most extensive cyber-warfare capabilities. It began to implement an Information Warfare strategy in 1995 conducting a huge quantity of exercises in which computer viruses have been used to interrupt military and private communications. In 2000, China established a strategic Information Warfare unit, Net Force, which is responsible for “wage combat through computer networks to manipulate enemy information systems spanning spare parts deliveries to fire control and guidance systems.” Today The PLA GSD Third Department and Fourth Departments are considered to be the two largest players in China‘s burgeoning cyber-infrastructure. In November 2011, Desmond Ball, a professor in the Strategic and Defense Studies Centre at Australia’s National University argues that the Chinese offensive capabilities today are pretty limited and he has also declared that the internal security has a bunch of vulnerabilities. Ball says that China’s cyber-warfare capabilities are “fairly rudimentary”, and is actually able to organize massive attacks (e.g. DDoS attacks) with little sophistication. The technology solutions behind the malware used are really poor and this makes them really simple to detect and remove before any damage has been done or data were stolen. The capabilities shown cannot be sufficient to penetrate highly secure networks or covertly steal or falsify critical data. 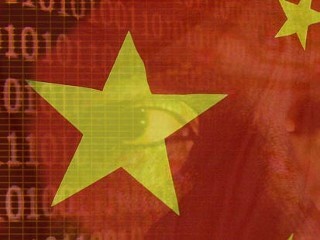 Are we really sure that behind the attacks are China’s hackers? According to cyber analysts, hackers in China and their attacks have different digital fingerprints, easily recognizable by analyzing the used computer code, and studying the command and control computers that they used to move their malicious software. No doubt, analysts are convinced that the attacks are coming from the Chinese government, because they have tracked enough intrusions to specific locations to be confident they are linked to Beijing cyber structures. Consider that the threat was persistent, spreading malware in target computer networks again and again over the course of several months or even years. Which are the countries being targeted by Cyber China and who are the real targets of these attacks. Many cyber-intelligence operations have been conducted against numerous countries, including the United States, UK, Australia, New Zealand, Canada, Germany, France, the Netherlands, Portugal, Japan, South Korea, Taiwan, India, Pakistan, Iran, Thailand, the Philippines and Indonesia. Consider that according to what has been published by the Office of the National Counterintelligence Executive report, prevalent usage of cyber operations is related to attempting to gain business and industrial secrets from companies, in this case from Americans. Companies are frustrated that the government isn’t doing enough to pressure China to stop the attacks which the Chinese government has officially been providing protection and anonymity to those groups of hackers. In the last ten years, the attacks have increased dramatically broadened to target defense companies, critical industries, major firms also including critical infrastructure. the Indian equivalent of FBI, the Central Bureau of Investigation. This event brings to the fore the need for governments have an appropriate cyber strategy so that National Security cannot be affected by such attacks. The economic development of a nation can no longer ignore these cyber attacks regardless of its awareness of the cyber threat. Based on the above facts, I believe it is wrong to consider these attacks rudimentary as the effects demonstrate that they are really dangerous and efficient. Another erroneous belief is that the Chinese government uses a large group of hackers to make the attack. According to a report supplied by the Associated Press the majority of the attacks emanating from China conduct by a few as a dozen groups of hackers under the control and coordination of the Chinese government. Counterintelligence Executive (ONCIX) several billions of dollars are lost in intellectual property and classified information disclosure every year due cyber espionage. Here is a little info :Jinan, Shandong Province – the location of PLA GSD Third and Fourth Department. Jinan has a special high tech development park with heavy pipes to the internet. Jinan also has 12 universities and the PLA is know for using learning centers as their R&D and we all know how secure colleges and universities are. 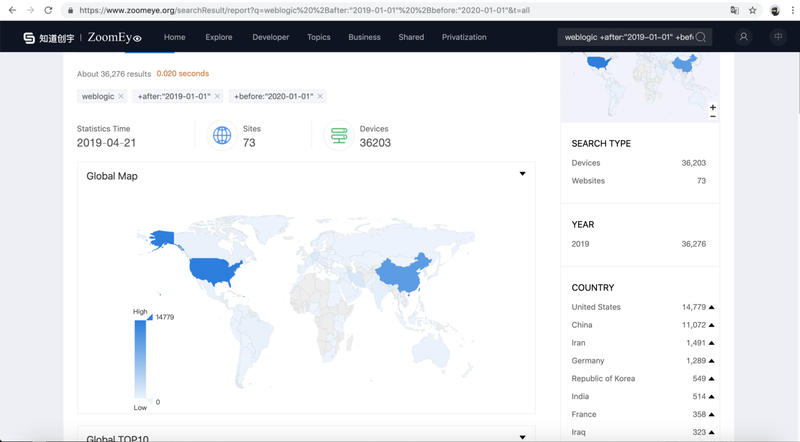 As Dillon Beresford at NSS Labs showed us last year China has lots of bad security for a number of reason, and as they struggle and stumble, they are getting better. A lot of hacks has been pinned on China, Russian is know to use proxy’s to hide and deploy. Great job Peirluigi..